Hi! Remember me? 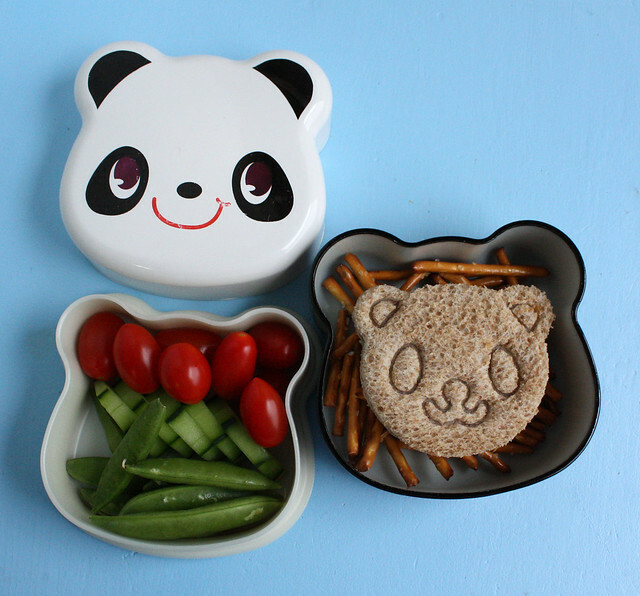 Your friendly neighborhood bento blogger? Things have been hectic in my house lately and last week I just forgot to post our lunches! 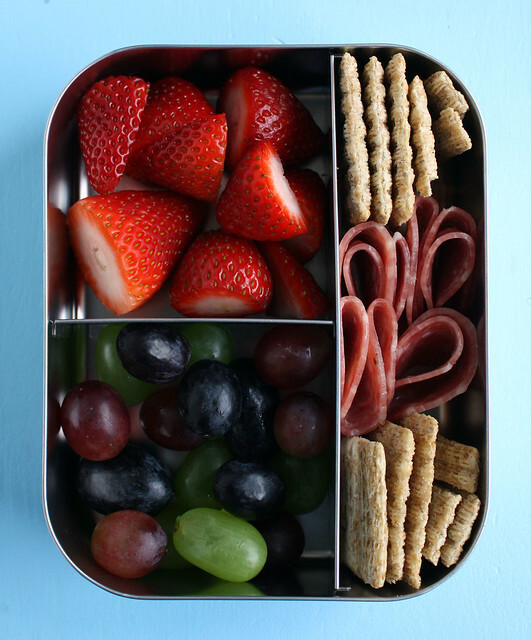 Augie’s Monday lunch was packed up in the LunchBots Trio : strawberries, grapes, crackers and salami. Wyatt’s lunch held a pumpkin muffin, a few grapes, strawberries, home made pita chips, a hot dog, ketchup (in the Lego box) and a fried egg gummy. 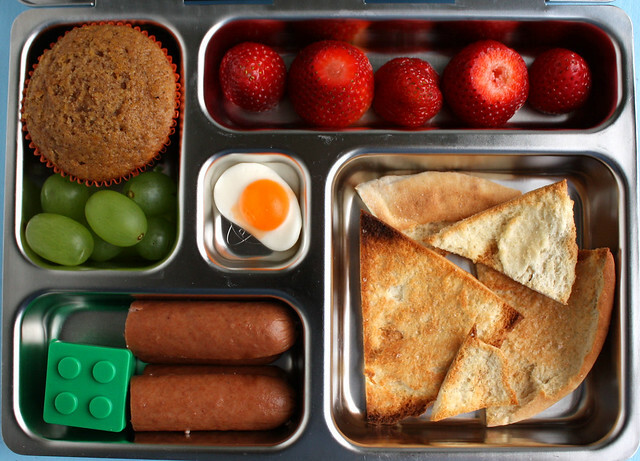 This lunch was packed in our PlanetBox . On Tuesday I packed the boys the exact same lunch, just arranged a bit differently. Kind of fun to see two identical lunches that look so different. 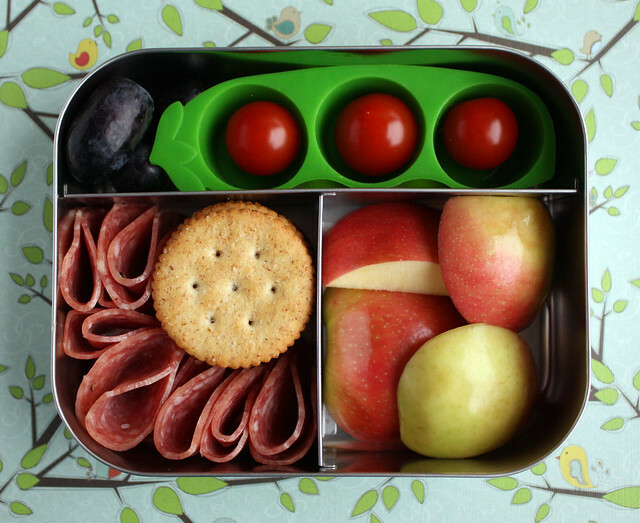 Augie’s was packed in a single layer of our monbento bento box: whole wheat crackers, salami, apple chunks, grapes and tomatoes packed in a new little car-shaped silicone cup that I found at Daiso. And here’s the version I packed for Wyatt! His included another cute little silicone cup shaped like a pea pod. I was skirting the edges of too cute with the cup, but I decided to risk it. Wednesday was Halloween (remember Halloween?) 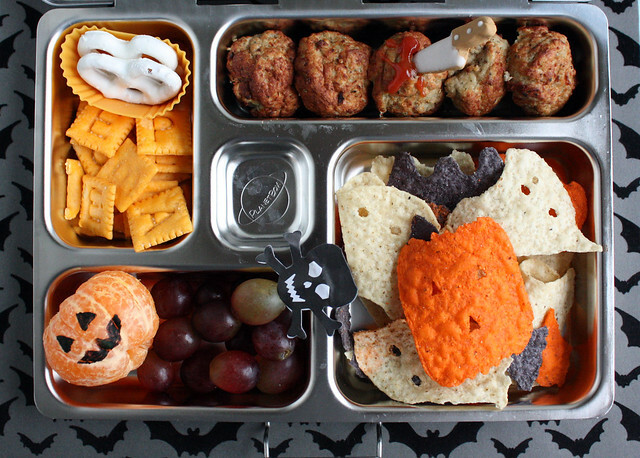 so I made the boys spooky lunches. 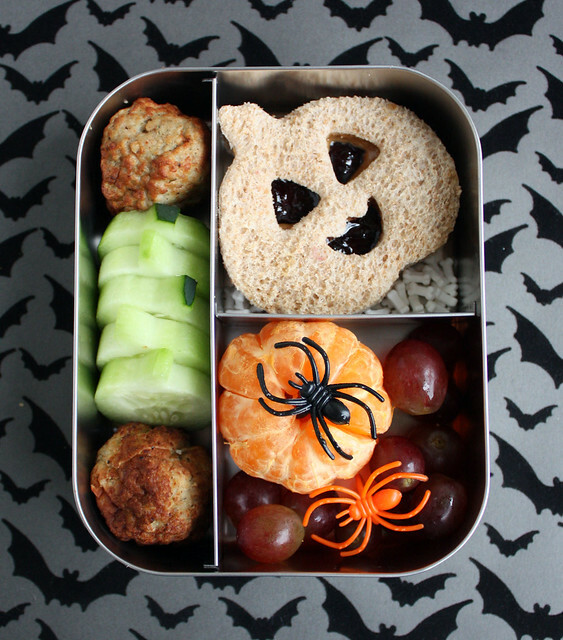 Augie had turkey meatballs from the freezer, cucumbers cut into pumpkin shapes, a jack-o-lantern pb&j sandwich (with little bones sprinkled around it), a mandarin orange and grapes. I also threw in some cheap spider rings for good measure. We all had a candy hangover and I was super rushed on Thursday, so I threw together this make-shift panda lunch as fast as I could. He had grape tomatoes, sliced cucumbers, snap peas, pretzel sticks and a peanut butter and jelly sandwich that I cut and stamped with our CuteZcute animal cutting kit . Wyatt had to eat school lunch because I couldn’t get his lunch together in time. 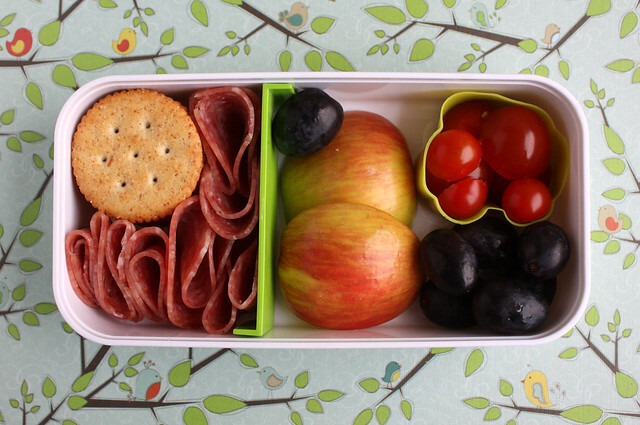 On Friday, Augie had a simple lunch that was reminiscent of Wyatt’s lunches at the same age: salami, apple chunks, cucumber slices and mini-peanut butter sandwich crackers. 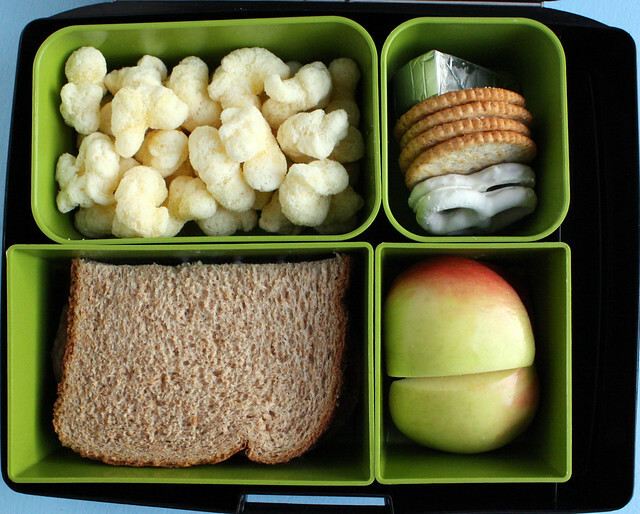 Wyatt picked every item in his lunch on Friday and even specifically selected the Laptop Lunches box he wanted it packed in (I did insist that he choose at least one fruit or veggie though). He had Pirate’s Booty, a Laughing Cow cheese wedge, yogurt pretzels, an apple cut into chunks and half a jelly sandwich. He ate every single bite, too!